Digitalization and fiduciary movements are both trending at the exact same time within the wealth advice space, creating new technology requirements and opportunities. The intersection of these two trends will result in the delivery of fiduciary algorithms within computer-aided decision making. Client discovery, portfolio selection, and re-balancing are among the many features that can be, and often are, powered by algorithms. 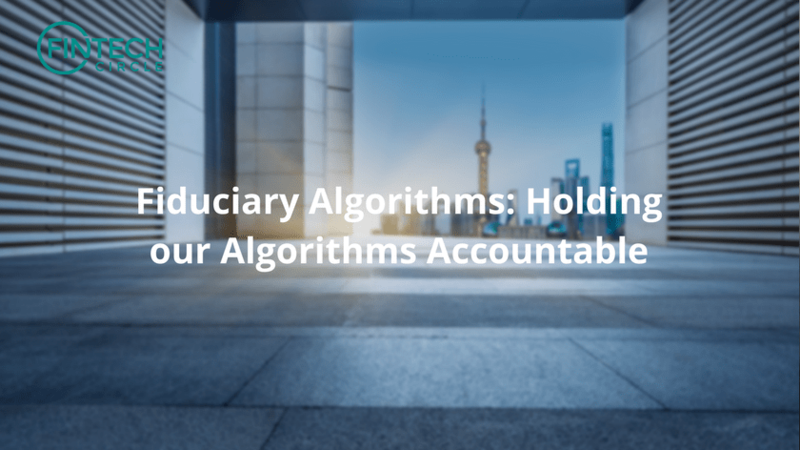 In the future of WealthTech these algorithms will be fiduciary algorithms which can be defined as accountable algorithms that are required to not only make the right decisions at any point in time, but also be able to demonstrate that it did. At the foundation of the fiduciary movement is a key question: when given a set of data, are advisors – human or digital – making decisions that are unbiased optimal for their clients? Such a simple question does not always have such a simple answer. An unbiased decision can be relatively easily assessed. A hypothetical change to a portfolio can be analysed to show how much the change is benefiting the investor and the portfolio provider. An optimal decision, however, is much more complicated. There are many dimensions that could be optimized. Risk vs. return is one dimension that has always been key to many investment decisions. Risk itself is a complex component; liquidity, concentration, volatility and many other elements are to be considered. Optimization of these components will lead to algorithm sophistication. It goes without saying that there are many situations where the client’s best interest and the wealth manager’s benefits are not in conflict. Yet, a fiduciary algorithm must be capable of proving the logic of those situations persuasively. The upcoming ramifications of fiduciary algorithms associated to software design, data requirements, and many other dimensions of technology implementation need to be explored with care.